You can quickly send a message to a supporter via the Flipcause Dashboard. Please note that message or email activity is not currently logged in Flipcause. 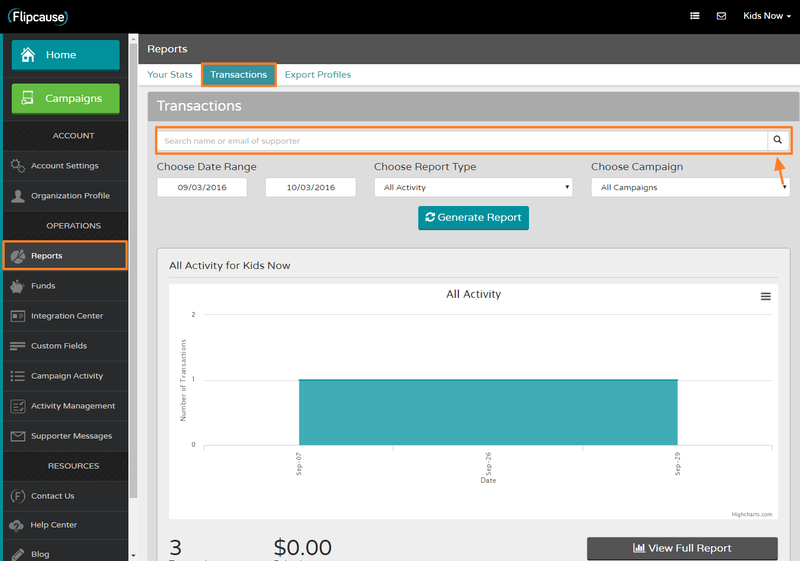 Scroll down to the list of transaction results below the graph. Click on Details to the right of the transaction. 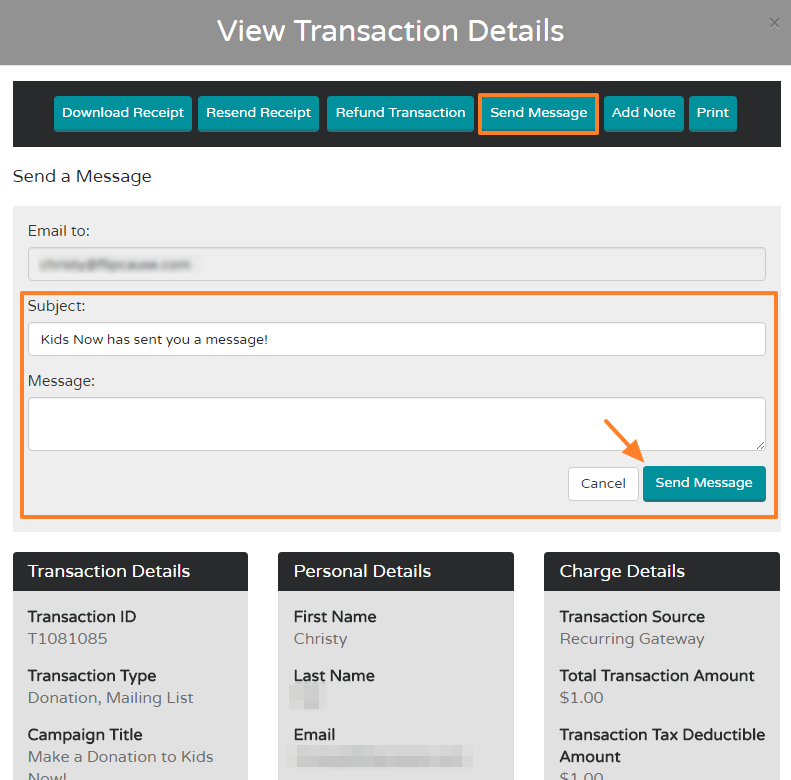 Select Send Message at the top of the View Transaction Details window. Enter the email address (if different), subject, and the message you want to send your supporter. Then click Send Message!